Panasonic TX-P42G20 review | What Hi-Fi? 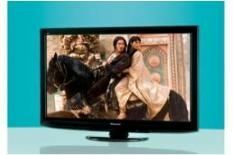 Now Pioneer has ceased TV production, we're often asked if plasma TVs have had their day? Well, Panasonic certainly doesn't believe this to be the case. The company has made more than its fair share of plasma sets over the years, and now that former Pioneer engineers are wearing Panasonic colours, we don't expect its stance to change too soon. The G20 range sits at the more affordable end of the long list of Panasonic TVs. Resolution is still up to Full HD standard, while the set also includes Panasonic's Neo PDP plasma technology and a 600Hz Sub-field drive with Intelligent Frame Creation Pro motion processing. Integrated Freesat tuners have become increasingly common on Panasonic TVs and you'll find the relevant screw-in connection on the back of the 'P42G20. The company's generosity also extends to an integrated Freeview HD tuner, so you can access BBC HD and ITV HD without the need for an external dish. Comparing the two, the Freeview HD picture isn't up to the standard of the Freesat image. Whether watching HD or standard-definition content, Freesat channels display greater solidity, composure and clarity. Switch to DVD playback and the traditional plasma strengths are immediately apparent, especially with regards to black levels. As Darth Vader's shuttle docks in the Death Star during Return of the Jedi, there's great depth to the black expanse of space. Switch to Blu-ray and ‘The Shire' scene from The Lord of the Rings: The Fellowship of the Ring and the 'P42G20 paints a glorious, colourful picture. The greens and browns of The Shire look rich, though the colour is laid on quite thick compared with the Sony KDL-40EX503. As Gandalf's cart makes its way through the village, the picture shows decent depth, and when Frodo jumps on-board, the brief shift in pace is handled with only the slightest of twitches. As long as you don't crank the volume to crazy levels, the sound is perfectly acceptable. There's reasonable solidity in the low frequencies, and high notes don't sound shrill or disturbing. The 'P42G20 just goes to show there's plenty of life in plasma. We can't wait to see what models higher up the Panasonic chain are capable of.